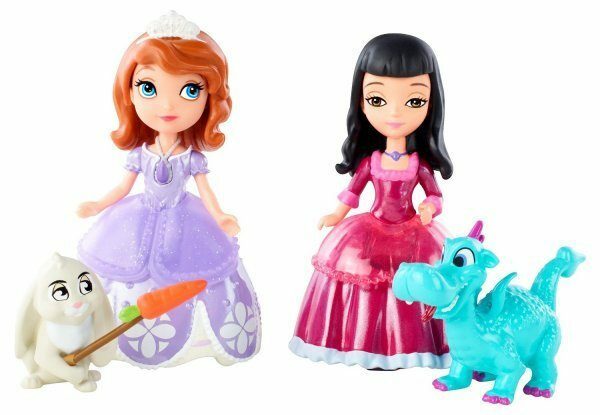 Disney Sofia The First Sofia, Vivian And Animal Friends Giftset Only $7.49 + FREE Prime Shipping! You are here: Home / Great Deals / Amazon Deals / Disney Sofia The First Sofia, Vivian And Animal Friends Giftset Only $7.49 + FREE Prime Shipping! Have a little girl who loves Sofia the First? I have a GREAT gift idea for you! Right now, you can get the Disney Sofia the First Sofia, Vivian and Animal Friends Giftset for just $7.49 (reg. $15)! And, you’ll get FREE shipping with Amazon Prime or Super Saver Shipping! I love that this set comes with Sofia and Vivian’s pets, Clover and Crackle! My daughter LOVES Sofia, so she would be SO excited to open this on Christmas morning!